Put strong leadership in place: Just like any other organization, a hospital depends on strong leadership in order to set a positive tone and create a cohesive work environment. If you want to keep the best doctors at your hospital, make sure the leadership team in place is a good one. Let providers address the issues that matter to them: If there are flaws in the system, doctors need to be able to speak up and have these issues addressed. Whether they need more resources or have an idea about how they could serve patients more effectively, taking suggestions seriously is an important part of keeping your medical staff engaged. Make sure administrators and physicians are connected: Some hospitals have the tendency to separate physicians from administrators, which causes a problematic disconnect within the hospital. Make it a point to encourage people from both departments to mingle and get to know one another. You can promote this during off-site social events, or by simply asking administrators to be proactive about getting to know the medical care team within the hospital. Provide feedback: Many hospitals struggle with providing valuable feedback to doctors. Just like any other employee, a physician needs feedback in order to improve. Don’t be afraid to offer regular performance reviews. This benefits the doctor as well as the patients. Offer claims reduction training: Physicians often feel stressed about the possibility of getting sued. One way to alleviate this concern is by providing thorough claims reduction training. This allows them to feel confident in their ability to handle all aspects of their job (from handling insurance to dealing with paperwork) without fear of negative repercussions. 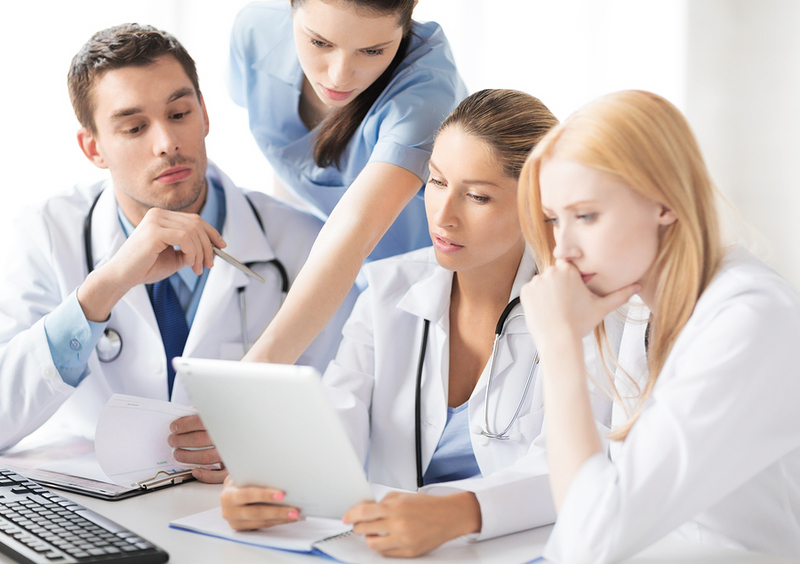 Additionally, another way to keep the best physicians around interested in working for your facility, is to make sure that your hospital embraces the emerging new technology that makes it easier for them to do their job. Using outdated, clunky systems or old methods simply because “that’s how we’ve always done it” causes frustration for your physicians and could lead to dissatisfaction among patients.